It's late July and retailers are eager to remind us that we should start thinking about back to school clothes and supplies. I'm here to remind you that we should start thinking about healthy food choices as that busy time of year begins again. One item to include in your breakfast and back to school snack ritual is a2 Milk®. Whether your children are in pre-school or college, one constant remains: we want to be sure our children are happy, healthy and thriving. The best way to do that during the busy back to school season is by stocking the fridge with a milk we know won't upset any tummies. That's where a2 Milk® comes in. If drinking regular cows’ milk gives you or the kids digestive issues, you might feel a difference with a2 Milk®. Why? Because a2 Milk® is real milk made the way nature intended: from hand-selected cows that produce a delicious milk that naturally contains only the A2 protein. The pure milk is also free from growth hormones, rBST and antibiotics. Additionally a2 Milk® has no artificial ingredients or additives. See, every container of milk in your grocery store contains milk made from cows that contain the A1 protein. It's this troublesome A1 protein that causes post-dairy digestive discomfort in 1 out 4 of Americans. On the other hand, the a2 Milk Company™ provides milk that comes from specially selected cows that naturally produce milk free from the irritating A1 protein - ‘the way mother nature intended’. So you, your kids AND their friends (that are not diagnosed as lactose intolerant) can enjoy a2 Milk® with no stomach issues this back to school season. I know this because our family has been drinking a2 Milk® and serving it to our friends for months now - with no issues whatsoever. I used to drive to Whole Foods in San Jose for a2 Milk®, but luckily it's now available in Morgan Hill too! I picked up this half gallon at my local Nob Hill store to give to my daughter to take her dorm. a2 Milk® over granola: Measure 1/2 cup of your child's favorite granola mix and pour into a bowl. Top with a2 Milk® as desired. Berry Protein a2 Milk® Milkshake: Parents should utilize blender: measure 1 cup of milk, 1/2 cup of ice, 1/4 mixed berries & 1/4 scoop of protein powder. Blend and serve as if you had no idea it was healthy! 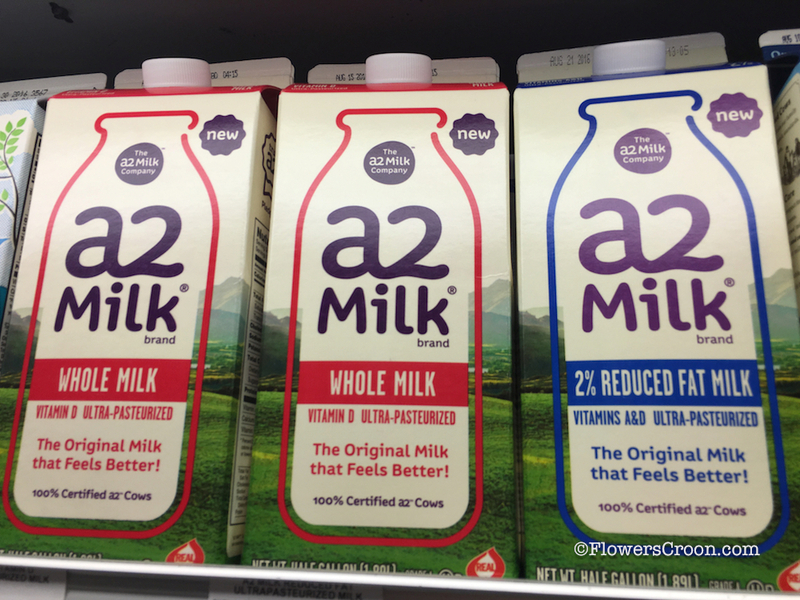 I encourage you to visit a2 Milk® on the web to learn more and to find a retailer near you. If you have not actually been diagnosed as lactose intolerant, you might be able to enjoy milk again thanks to a2 Milk®!